Ensure that your reception is perfect with the right music, played by a professional, who knows how to rock a party! "Bryce was so great! Everyone had a great time at my wedding. He made people laugh and dance and have so much fun. I would recommend this company to everyone! His prices were awesome, he's worth so much more. And I changed my plans a million times and he just went with it and accommodated us with everything we needed. Belseth Productions is awesome!" "DJ Buck was phenomenal, from start to finish he was always available and bent over backwards to make our wedding a memorable one. Even with a small wedding, only 30 guests, the dance floor was hoppin' the entire night. I would highly recommend him to anyone!!" "Bryce made our Wedding Day so much fun! We thought he was amazing and so did our guests. We received many compliments on how great the music and DJ were. The dance floor was packed all night! I could not be more pleased with his work!" "Mr. Belseth did an excellent job of playing just the right songs to get - and keep - people dancing all night! Bryce was very easy to work with, and with his outgoing and fun personality, we were able to do some fun things that we would not have been able to with another DJ. Thanks, Bryce!" "Bryce was an awesome DJ! My husband and I partied the night away with our friends and family. He kept the party going and was great with our guests. 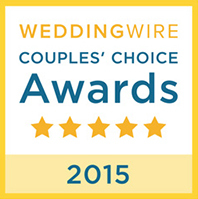 He was everything we wanted from a dj and we highly recommend him!" "DJ Buck did a wonderful job at our wedding. He is very easy to work with, and not wanting anything traditional, he delivered to a tee. I would highly recommend him for any event! Very professional, affordable, and a pleasure to work with. Thanks Bryce!!!!" "Bryce was a fabulous DJ at our wedding. When we first met Bryce he was professional and listened to what we wanted. Bryce took time to find special requested music for our reception and dance. Bryce arrived early, was set up and ready to go the second our first guests arrived. Bryce didn't just play music, He engaged all of our guests young and old with games and commentaries. We would definitely have him again to any event in the future! Thanks so much for helping our special day be memorable!"